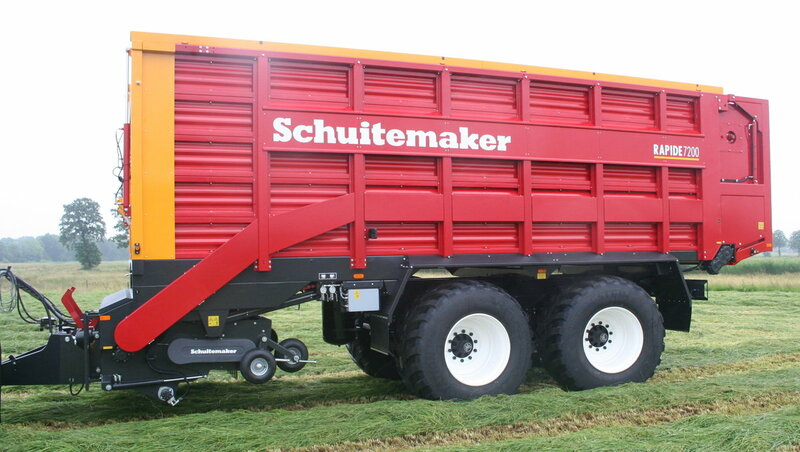 Rapide 7200 - 30,5" multipurpose loader wagon | Schuitemaker Machines B.V.
Schuitemaker has been known for over 30 years for the multipurpose loader wagon, the Rapide. A multipurpose loader wagon which belongs to the top of the market because of the quality level and performance. 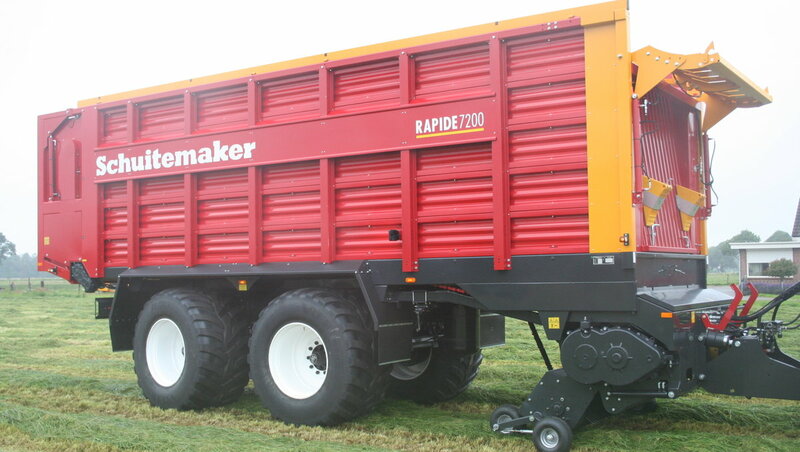 By listening to our customers, we will be introducing our latest model, the Rapide 7200-with 30,5” tyres. This model will be ready for the market from June. Last year we introduced his “little brother”, the Rapide 6600 on 30,5” tyres. Although the market was very positive about this model, they also referred to the smaller content in regard to the Rapide with the standard tyres. The difference in content is 39 m³ in regard to 42 m³ DIN. 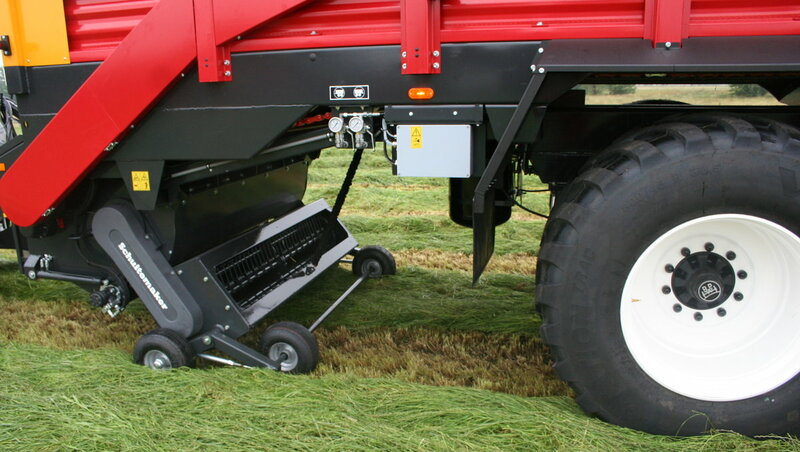 The need for larger loading capacity has resulted into the development of the Rapide 7200 on 30,5”tyres. The platform is enlarged with 60 cm in the newest edition, which results into more loading capacity and a total content of 42 m³ DIN. The advantage of the larger tyres remains: preservation of the ground structure by reducing the ground pressure! 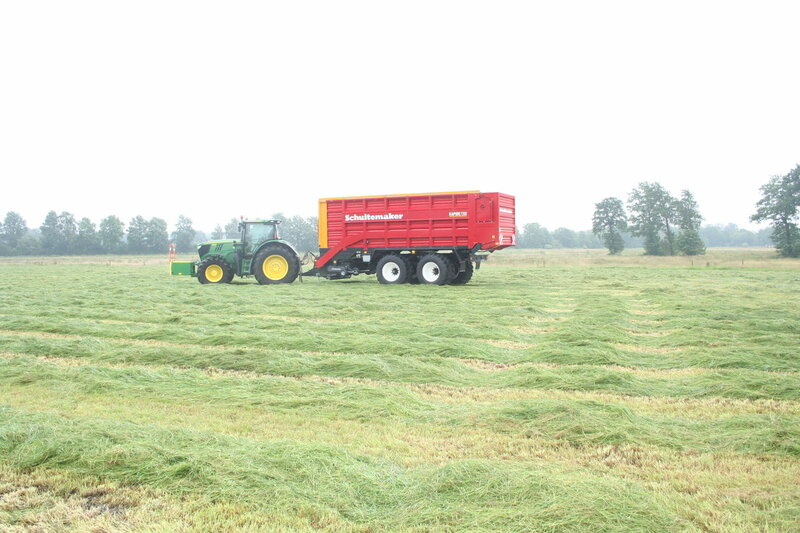 This also results in better performances during wet and muddy circumstances with harvesting corn, but also on grassland. 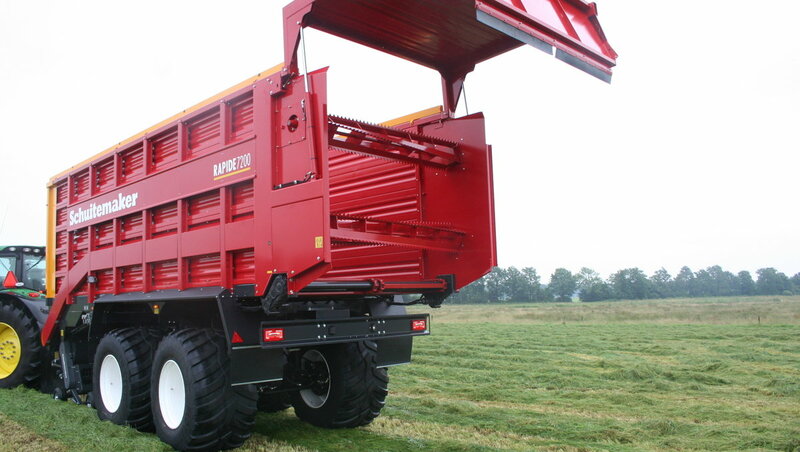 This multipurpose loader wagon, the Rapide 7200-30,5 can be delivered with or without beaters. The loader wagon is standard equipped with a hydraulic suspended axle, electrical/hydraulic steering and an integrated hydraulic front board. This model is also prepared for air pressure regulations systems.